Book tickets for Ilusion Mental online and get the lowest price available. All in Spanish, this show will mesmerize you as it has audiences in Mexico and Russia. The displays of mentalism will have you both laughing and amazed. Santiago Michel is not very good at keeping your secrets! 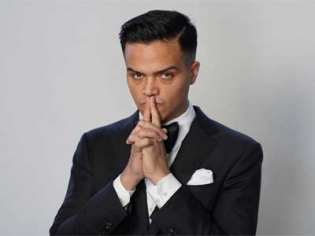 His all-Spanish show is full of mind tricks, mentalism, and magic that will astound you. Beware, he may pull you on stage and read your mind, spilling all your secrets to the audience. At just 24 years old, he brings an elegant showmanship and charm to the stage; he has been practicing magic since he was just a child. His glimpse into the minds of the audience will allow him to discern truth from lies; he will hypnotize the stubborn deniers; and he will pull aside the curtain of the supernatural and allow you a peek inside. Ilusión Mental, es un espectáculo totalmente en Español.